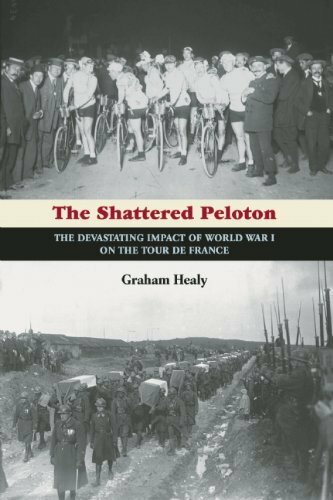 It’s not often that someone tells you that you are the very first person to have bought their book, but that’s the message I got when I followed a twitter link recently and bought an E-copy of “The Shattered Peloton – The Devastating Impact of World War I on the Tour De France” by Graham Healy (Breakaway Books £7.76 Amazon, £4.90 Kindle edition). Armed with such a privilege I thought that I should shelve everything else I was currently reading and get a review out in double quick time. Like many others, I am intrigued by the history and geography of Le Tour and the other historical races, and the impact of World War One was clearly a defining moment in many of their infancies. As well as robbing the sport of a generation of young men, the war shaped our perception of many of the areas still visited by the Tour and the Spring Classics today. In this centenary year of the outbreak of hostilities, the Tour has shaped itself in recognition and respect of the upheaval and sacrifice caused by what was known for a very long time simply as “The Great War”. Similarly the 2014 edition of Ghent-Wevelgem was renamed ‘Ghent-Wevelgem in Flanders Fields‘ in tribute. Healy’s book is a wonderful, timely extension of the respect that cycling is paying to the anniversary. It is also a very good political history book with, amongst other excellent dissections of the ebb and flow of the War on it’s many fronts, one of the most succinct descriptions of how Archduke Franz Ferdinand’s death, which occurred on the same day that the 1914 Tour de France commenced, snowballed into such a mega-conflict a little more than a month later. Cataloguing the destruction wreaked on any particular set of people by a conflict of such magnitude must have been a relentlessly grim task. The well-researched book opens up doors to give glimpses of riders who have remained unheard of by most for many, many decades, only to have to close them again swiftly as their lives are snuffed out by shellfire, bullet, or bayonet. Professional cycling is a sport inhabited by young fit men and, whilst the book does make mention of some of those who were lucky enough to survive the conflict and resume their careers, most of the tales end in a headstone, a mention in dispatches, or, most poignantly, an assumption of death in lieu of any physical remains. As we know, war is no respecter of personal history and alongside the names of lesser-known rouleurs are names of giants of the sport who had carved out their legends in the early years of the professional cycling scene before heeding the call to War. Many went eagerly in the first call to arms, in the mistaken belief the War would be brief and decisive. Many cyclists, adventurous men by nature, took to the skies to the early air force regiments where the death toll was even higher than in the trenches. I was going to mention some of the more famous casualties at this point but, on reflection, that seems to miss the point somehow. You will find them in the book, along with the stories of the lesser lights, but I will leave them all equal in their sacrifice. “Cyclist. Killed in the Great War.” Though some excelled more than others a la velo they all shared the same fate and should be considered equals for that at least. 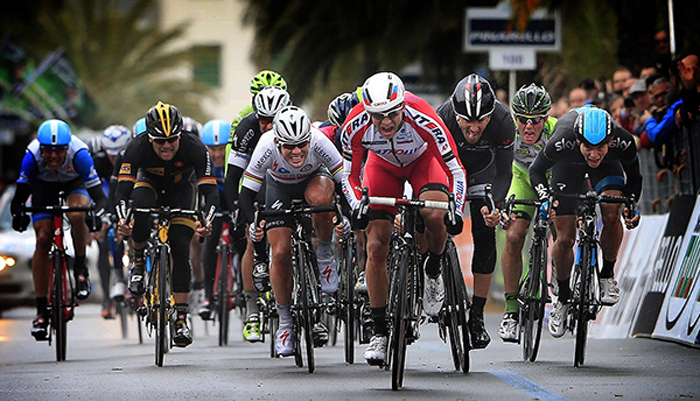 The Shattered Peloton is a hard-read in the sense that there is no ‘happy ending’. But as a record of achievement, loss and unfulfilled potential, it’s hard to think of another book that is as valid as this one is this year. As I mentioned earlier, the names of the fallen are many and, in many cases, obscure to modern readers. My sole request for the second edition would be the addition of a index of the riders at the back of the book. Name, Date of Birth, Cycling Honours, Date of Death. I think that would make navigating the bell-tolling pages a little easier, and certainly aid revisiting the text in search of a fact in the future. The hardcopy of The Shattered Peloton is currently available for pre-order. It will be released on 10th June. The Kindle version is available for download now.